Click here to visit the Pureology facebook and like them. Then on the “Watch And Win” tab, click play on the video. Wait 15 seconds and then a form should appear underneath, that you can use to fill out the form. 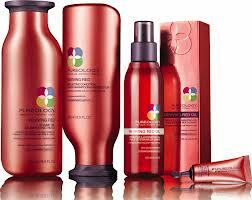 7,000 people will score a free deluxe sample set of Pureology Reviving Red products. You’ll have until April 30th to enter this one. Good luck!